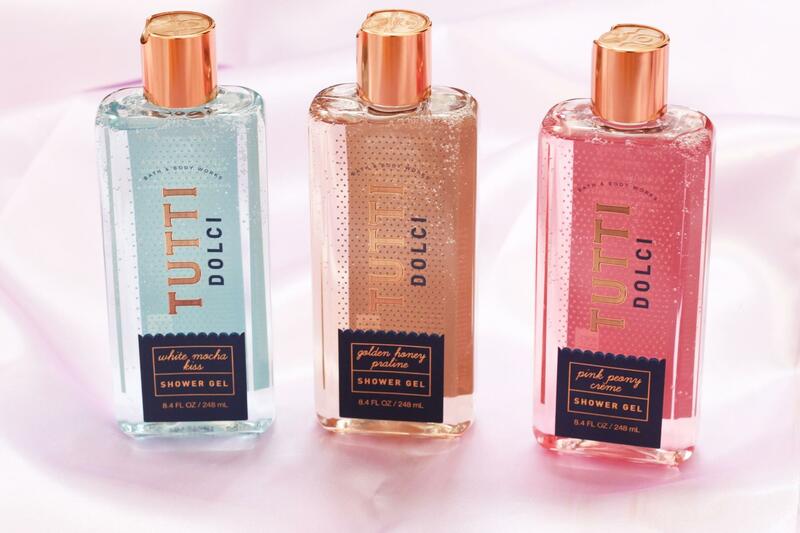 Most likely you’ve seen or heard about the Tutti Dolci collection from Bath Body Works by now, but if you haven’t, I’m here to tell you that it’s worth a look. 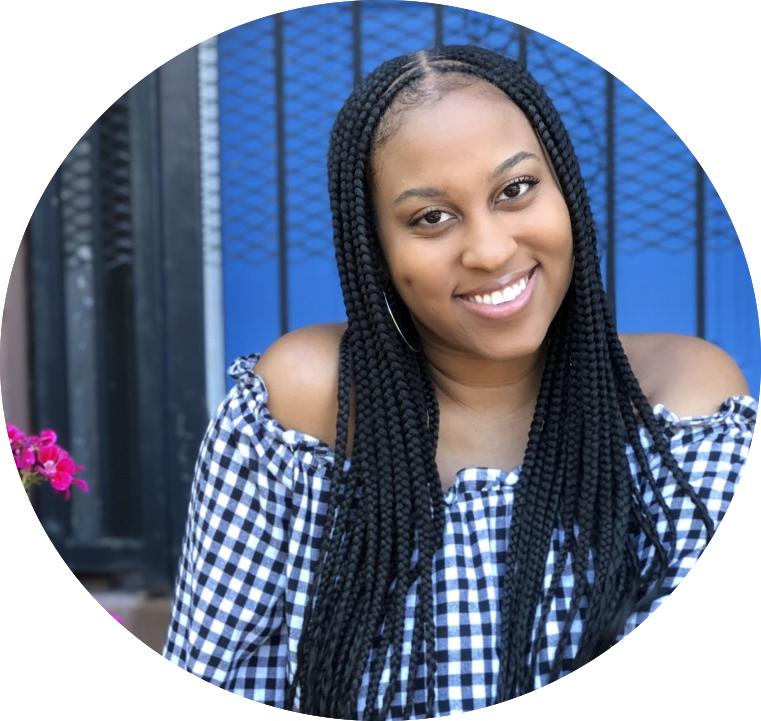 I first heard about the collection from one of my favorite youtubers, Kayla Lashae, and knew I had to check it out. What caught my eye the most were the fancy looking shower gels. 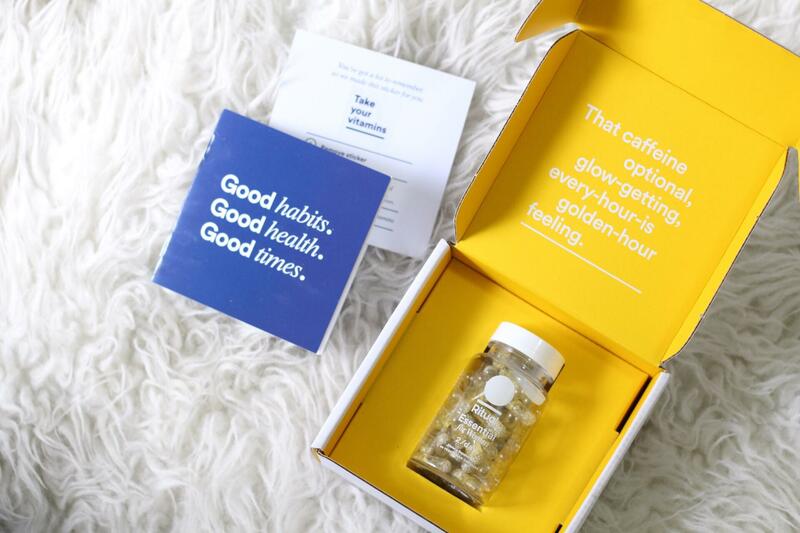 Just look at this packaging—it’s beautiful! I’m a big fan of product packaging design, so that’s always going to be what draws me to a product or turn me away. 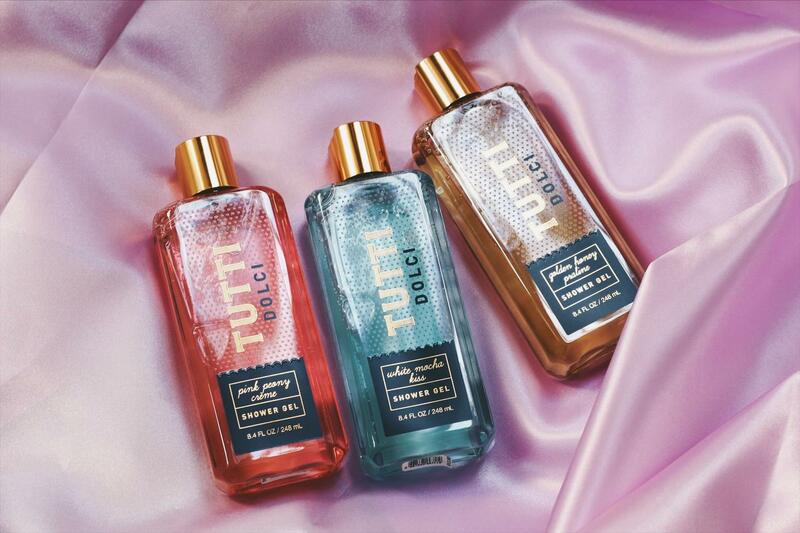 This product bottle is modern and luxe and the price is right at $12.50 (or less with their never ending discount offers). The actual products are great like always. I’m a big fan of Bath & Body Works shower gels. They’re moisturizing and they smell amazing. 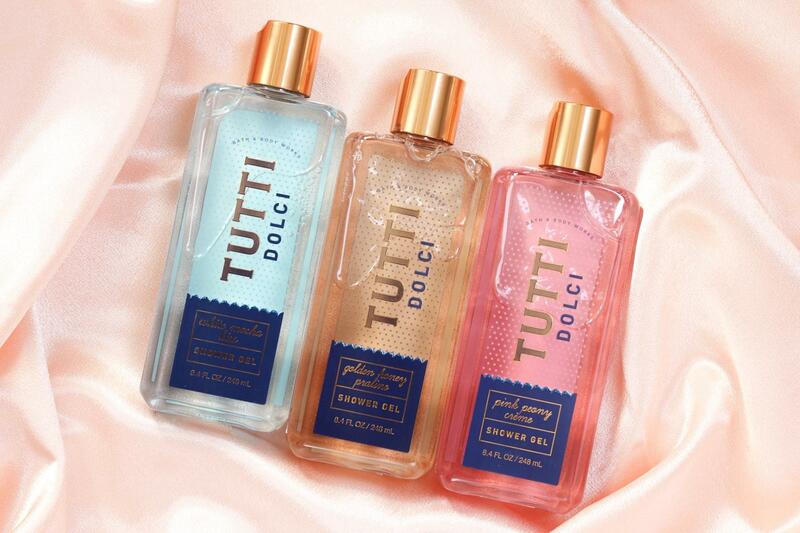 I got 3 out of 4 of the scents in the Tutti Dolci shower gels. I went for Pink Peony Crème, Golden Honey Praline, and White Mocha Kiss. Out of the 3, I was most excited about Golden Honey Praline scent. The bottle reads “Cozy up to creamy caramel & praline musk drizzled in golden honey”. Doesn’t that sound so appealing? I’m a big fan of sweet but smoky/musky smells so this sounded perfect. I love the notes of caramel and honey in this. But don’t worry, it’s not overly sweet. White Mocha Kiss is really sweet smelling, so if that’s not something you’re a fan of, I’d steer clear of this one. The bottle reads “Rich vanilla mocha and coconut orchid wrapped in marshmallow creme.” I thought I’d really like this one because I love the marshmallow fireside scent. Since this one doesn’t have the smoky notes, it comes off really sweet. The good thing is that the scent doesn’t linger for too long after you shower. I also got Pink Peony Crème which is described on the bottle as “Blushing peony blossom, pink currant and white amber dipped in nectar.” This one smells like an old school Bath and Body Works/Victoria Secret scent. It’s floral and sweet. Golden Honey Praline is my favorite out of the 3. If you’re interested in these, I’d go to Bath and Body Works asap since there was a lot of buzz about this collection.